The September expansion of MLB rosters generated two Jewish call-ups today. One was Toronto Blue Jays prospect Rowdy Tellez, a 23-year-old first baseman who has never played in the Majors. Drafted straight out of high school in 2013, the 6-foot-4 California native is hitting .270 with 13 home runs, 50 RBIs and a .345 on-base percentage for Toronto’s Triple-A affiliate. He’ll join CF Kevin Pillar on the Jay’s roster. 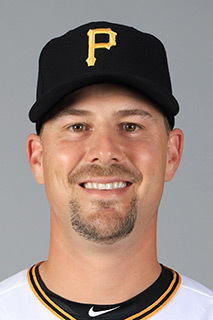 Meanwhile, the Pittsburgh Pirates called-up veteran catcher Ryan Lavarnway, who has played for four other MLB teams since 2011 and starred for Team Israel at the 2017 World Baseball Classic. The 31-year-old is hitting .288 this season with 9 home runs, 33 RBIs and a .375 OBP for Pittsburgh’s Triple-A affiliate. The last Jewish player on the Pirate’s roster was Ike Davis, who played first base for the club in 2014.